This is my third year of playing the Reading Bingo Card. I like it because during the year I don’t look for books to fill in the card – I just read what I want to read and then see whether the books I’ve read will match the squares. I also like it because it is an excellent way of looking back at the books I’ve read and reminding me of how much I enjoyed them. A Book With More Than 500 pages. 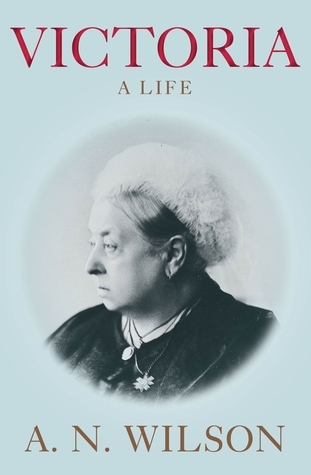 Victoria: A Life by A N Wilson – 656 pages. It took me three months to read this biography and I learned so much and enjoyed it immensely. Victoria was 81 when she died and had been Queen for nearly 64 years, from 1837 to 1901. She’d had 9 children and was grandmother of 42. It’s detailed, well researched and illustrated, with copious notes, an extensive bibliography and an index. He portrays Victoria both as a woman, a wife and a mother as well as a queen, set against the backdrop of the political scene in Britain and Europe. 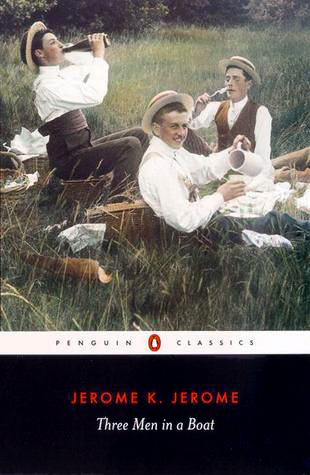 The British Library series of crime classics presents forgotten classics many of which have been out of print since before the Second War. I’ve read several of them, including Bats in the Belfry by E C R Lorac, a pen name of Edith Caroline Rivett who was a prolific writer of crime fiction from the 1930s to the 1950s. It was first published in 1937 and I think it is one of the better Golden Age Mysteries that I’ve read. It’s set in London in the 1930s, full of descriptive writing, painting vivid pictures of the streets of London and in particular the spooky, Gothic tower in which a corpse is discovered, ‘headless and handless’. 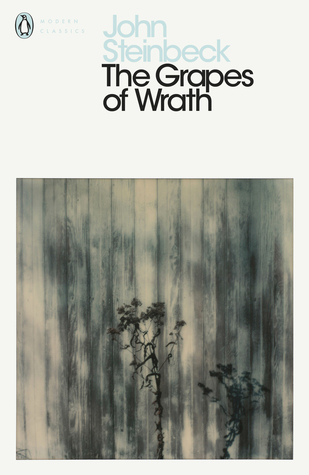 The Grapes of Wrath by John Steinbeck Set against the background of dust bowl Oklahoma and Californian migrant life, it tells of the Joad family, who, like thousands of others, are forced to travel West in search of the promised land. The book became a movie in 1940 directed by John Ford and starring Henry Fonda. 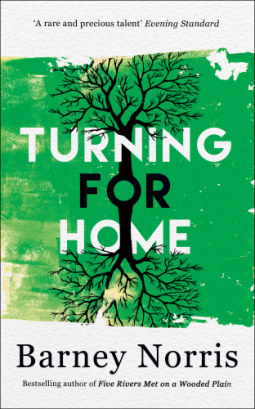 Turning for Home by Barney Norris was published in January this year. It’s a novel of love and loss, grief and guilt. Every year, Robert’s family come together at a rambling old house to celebrate his birthday. Aunts, uncles, distant cousins – it has been a milestone in their lives for decades. But this year Robert doesn’t want to be reminded of what has happened since they last met. 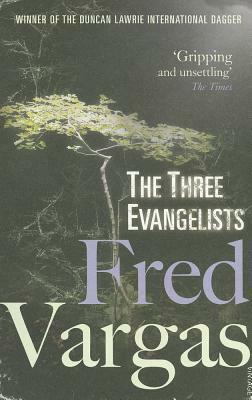 The Three Evangelists by Fred Vargas, quirky crime fiction, with eccentric characters and an intricate plot. The three title characters are thirty-something historians, Mathias, Marc and Lucien, all down on their luck. Together with Marc’s uncle and godfather, Armand Vandoosler, an ex-policeman, they have just moved into a house next door to retired opera singer Sophia Siméonidis and her husband Pierre. When a tree unexpectedly appears in Sophia’s garden she asks for their help in digging around the tree to see if something has been buried there. 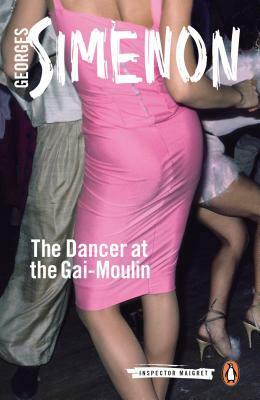 The Dancer at the Gai-Moulin by Georges Simenon, is one of the early Maigret books published in 1931 when Simenon was 28. Set in Liege in Belgium, a corpse is found in the Botanical Gardens in a large laundry basket in the middle of a lawn. 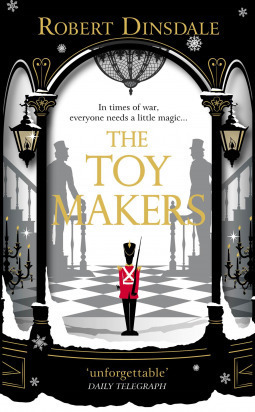 The Toymakers by Robert Dinsdale – a wonderful book about Papa Jack’s Emporium in London, a toyshop extraordinaire. The toys it sells aren’t ordinary toys – they seem alive, from patchwork dogs, to flying pegasi, Russian dolls that climb out of one another, runnerless rocking horses, whales that devour ships, fire-breathing dragons and many others to the toy soldiers that wage war on each other. I’m spoilt for choice in this category, with lots of female authors to choose from. 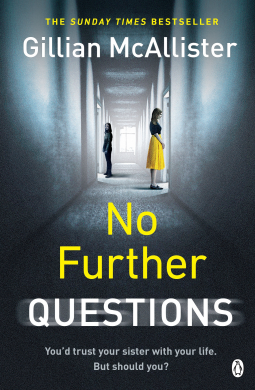 In the end I’ve picked No Further Questions by Gillian McAllister, one of the 5* books I’ve read this year. It plunges straight into a trial as Martha sits in the courtroom listening to expert witnesses being questioned and cross-examined about the death of her baby, Layla, just eight weeks old. Her sister Becky is accused of murdering her. She found Layla dead in her cot and denies killing her. It looked like a cot death – until the postmortem showed otherwise – and the police are convinced it was murder. 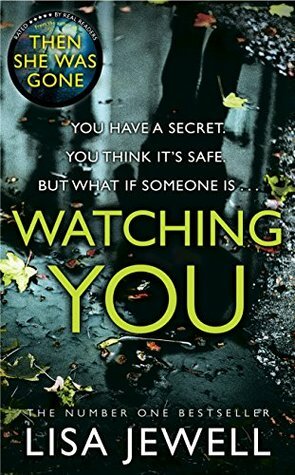 I could have chosen any one of the many crime fiction novels I’ve read this year, but I’ve picked Watching You by Lisa Jewell, crime fiction that keeps you guessing about everything right from the first page – someone was murdered, but who was it and why, and just who was the killer? Full of suspense and drama, it is only right at the end of the book that all becomes clear. I loved it. 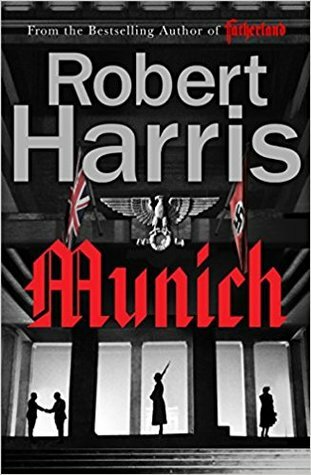 Munich by Robert Harris is a novel about the 1938 Munich Conference, a mix of fact and fiction. Harris uses two fictional characters, Hugh Legat as one of Chamberlain’s private secretaries and Paul Hartmann, a German diplomat and a member of the anti-Hitler resistance to tell his story. Foreign Bodies edited by Martin Edwards. 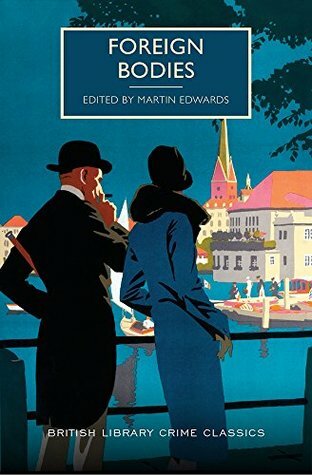 A collection of 15 stories, vintage crime fiction in translation, written by authors from Hungary, Japan, Denmark, India, Germany, Mexico, Belgium, the Netherlands, Russia and France. Martin Edwards has prefaced each one with a brief biographical note. Authors include – Arthur Conan Doyle, G K Chesterton, Michael Innes, Margery Allingham and Dorothy L Sayers. For this square I’ve chosen a book in translation. 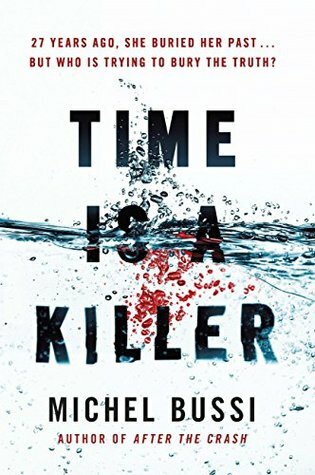 It’s Time is a Killer by Michel Bussi, translated from the French by Shaun Whiteside. Every summer Clotilde, her brother, Nicolas and her parents, Paul and Palma Idrissi visit Paul’s parents in Corsica. In 1989 Paul, Palma and Nicolas are killed in a car crash. Twenty seven years later Clotilde returns. Her grandparents are still alive but are reluctant to talk about the accident and the locals seem to resent her presence. As Clotilde delves into her memories she begins to realise that the past is not quite as she thought it was. 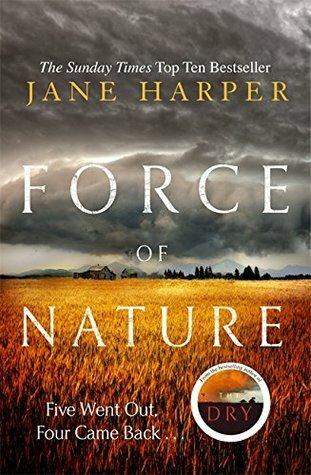 Force of Nature by Jane Harper – I loved this book, set in the fictional Giralang Ranges in Australia, seeing the Mirror Falls roaring down from a cliff edge into the pool fifteen metres below, the eucalyptus trees and the dense bush, and the breathtaking views of rolling hills and valleys as the gum trees give way, with the sun hanging low in the distance. But this is the story of a team-building event that went badly wrong when Alice went missing and a search party is sent out into the bush to find her. Many of the books I read these days are books I’ve heard about on line. 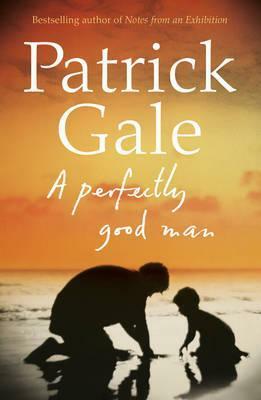 I’ve chosen A Perfectly Good Man by Patrick Gale because when I wrote about Notes From an Exhibition Café Society recommended it. The ‘perfectly good man‘ is Barnaby Johnson, a parish priest, a man who always tries to do the right thing, but he doesn’t always manage it. It’s a beautifully written book about faith and the loss of faith, about love and cruelty and deception, about ordinary life and about everyday tragedies, and also sublime moments. 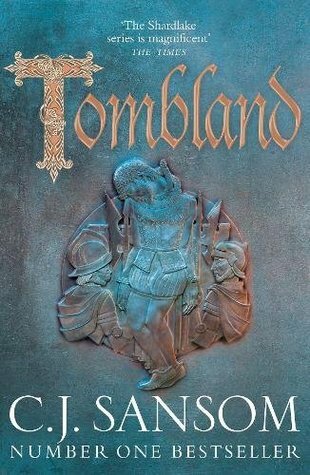 Tombland by C J Sansom, the 7th book in his Shardlake series. Another 5* book! It’s 1549, Edward VI is king, England is ruled by the Duke of Somerset as Lord Protector and rebellion is spreading throughout the land. Matthew Shardlake is asked to investigate the murder of Edith Boleyn, the wife of John Boleyn – a distant Norfolk relation of Elizabeth’s mother Anne Boleyn. Then he and his assistants get caught up in the rebellion against the landowners’ enclosures of the common land as thousands of peasants led by Robert Kett establish a vast camp outside Norwich. 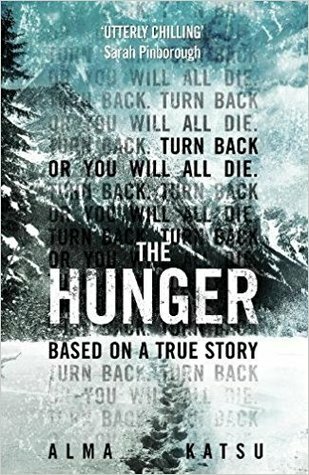 The Hunger by Alma Katsu, one of the 5* books I’ve read this year. It’s historical fiction based on the true story of the Donner Party, a group of pioneers, people who were looking for a better life in the American West. They formed a wagon train under the leadership of George Donner and James Reed making their way west to California in 1846. Alma Katsu’s book interweaves fact with fiction and with hints of the supernatural and Indian myths it becomes a thrilling, spine tingling horrific tale. 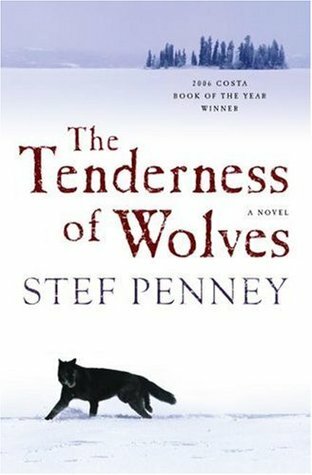 The Tenderness of Wolves by Stef Penney – I’ve had this book since 2007. It’s set in Canada in 1867 beginning in a small place called Dove River on the north shore of Georgian Bay where Mr and Mrs Ross were the first people to settle. The setting is beautiful and as I read I felt as though I was in the wilds of Canada. It’s complex book with many characters and many sub-plots as the search for the murderer of the French-Canadian trapper, Laurent Jammet. 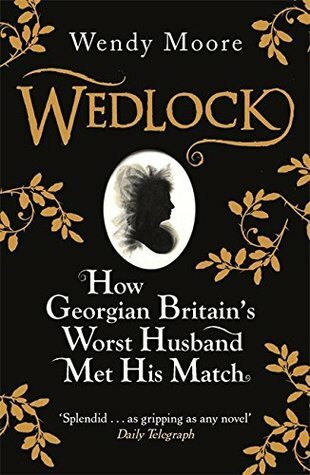 Wedlock by Wendy Moore is a book recommended by a friend, who thought it was very good. She was quite right and I loved this biography of Mary Eleanor Bowes, who was one of Britain’s richest young heiresses in 18th century Britain. Her first husband was the Count of Strathmore – the Queen Mother, Elizabeth Bowes-Lyon, was a direct descendant of their marriage. Her second marriage to Andrew Robinson Stoney was an absolute disaster. He was brutally cruel and treated her with such violence, humiliation, deception and kidnap, that she lived in fear for her life. 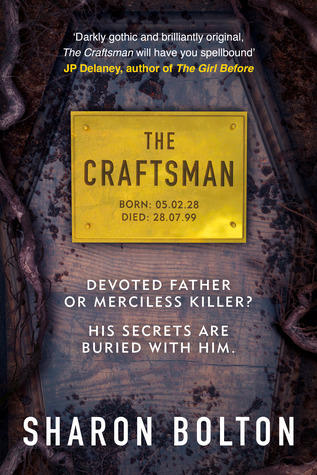 The Craftsman by Sharon Bolton. This is one of her standalone books. They are all really scary, creepy books and I was inescapably drawn into this chilling and terrifying story with the horrors of being buried alive clearly described. It is a remarkably powerful book, full of tension and fear about coffin-maker Larry Glassbrook, a serial child killer who buried his victims alive. 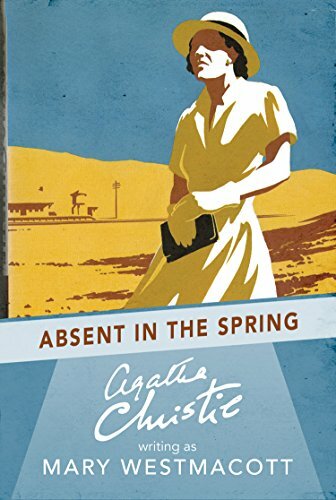 Absent in the Spring by Agatha Christie, writing as Mary Westmacott, first published in 1944. I was thoroughly absorbed in the story of Joan Scudamore. It is set in Mesopotamia (corresponding to today’s Iraq, mostly, but also parts of modern-day Iran, Syria and Turkey) in a railway rest-house at Tel Abu Hamid on the Turkish border, where Joan is stranded, delayed by floods. She occupies the time with reading and then by thinking about herself. Gradually she relives her past, all the time with a growing feeling of unease and anxiety that she is not the person she thought she was. 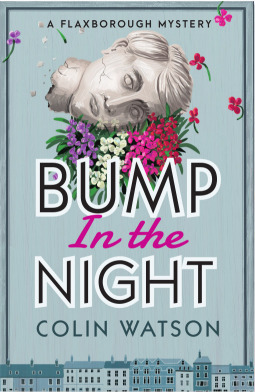 Bump in the Night by Colin Watson, the second book in his Flaxborough series. It’s crime fiction full of wordplay, innuendo, practical jokes and murder. Inspector Purbright investigates a series of explosions, culminating in the death of the local haulage contractor. 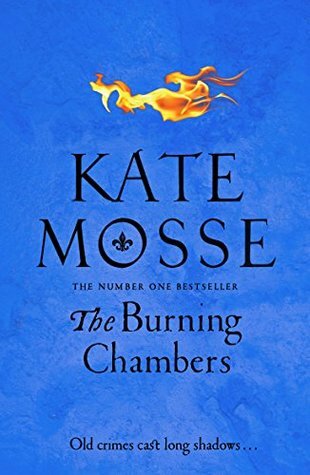 The Burning Chambers by Kate Mosse, the first in a new trilogy set in Languedoc in the south-west of France. It’s set in 1562 during the French Wars of Religion, centred on the Joubert family, Catholics living in Carcassonne and Piet Reydon, one of the Huguenot leaders. Bernard Joubert, a bookseller had been imprisoned accused of being a traitor and a heretic, and Pietis on a dangerous mission in Carcassone to further the Huguenot cause. He finds his life is in danger from the priest Vidal. This was first published in 1937 by Collins Crime Club. This edition has an introduction by Martin Edwards. Bruce Attleton dazzled London’s literary scene with his first two novels – but his early promise did not bear fruit. His wife Sybilla is a glittering actress, unforgiving of Bruce’s failure, and the couple lead separate lives in their house at Regent’s Park. When Bruce is called away on a sudden trip to Paris, he vanishes completely – until his suitcase and passport are found in a sinister artist’s studio, the Belfry, in a crumbling house in Notting Hill. Inspector Macdonald must uncover Bruce’s secrets, and find out the identity of his mysterious blackmailer. 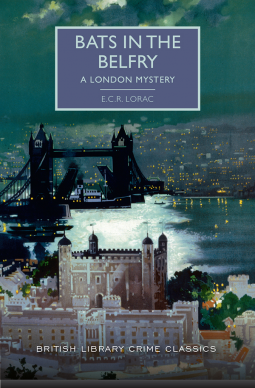 E C R Lorac was a pen name of Edith Caroline Rivett (1894-1958) who was a prolific writer of crime fiction from the 1930s to the 1950s, and a member of the prestigious Detection Club. Little has been written about her life. By the time of her death she had produced more that seventy books but she seems to have been a forgotten author and I hadn’t heard of E C R Lorac until quite recently. I’m pleased to say that I enjoyed Bats in the Belfry, which is set in London in the 1930s. There is the occasional anti-Semitic comment, offensive now but it seems to reflect the period in which Lorac was writing. 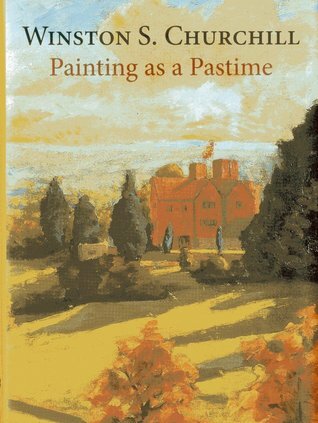 However, it’s full of descriptive writing painting vivid pictures of the streets of London and in particular the spooky, Gothic tower in which a corpse is discovered, ‘headless and handless‘. For a while the identity of the murdered man is in doubt – is it that of Bruce Attleton who had unaccountably disappeared or that of the mysterious stranger, Debrette who it seems had been blackmailing Bruce? Chief Inspector Macdonald of New Scotland Yard is called in to investigate Bruce’s disappearance. I liked Macdonald, a ‘long lean faced’ Scot. He’s a shrewd detective, not easily ruffled or fooled. The other characters are well defined, including Bruce’s wife Sybilla, both of whom are having affairs, and his friends, one of whom, Robert Grenville, is in love with his ward Elizabeth, a lively and resourceful young woman. 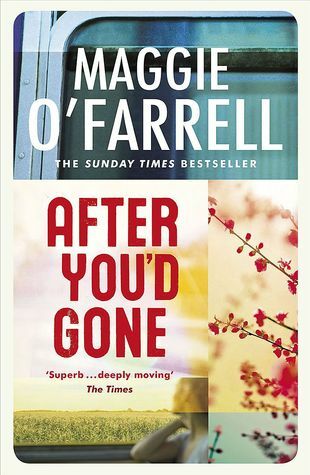 The plot is complex, with enough twists and turns to keep me guessing until very nearly the end of the book. I think this is one of the better Golden Age Mysteries that I have read, and I’m now looking forward to reading another of her books, Fire in the Thatch, set in Devon.